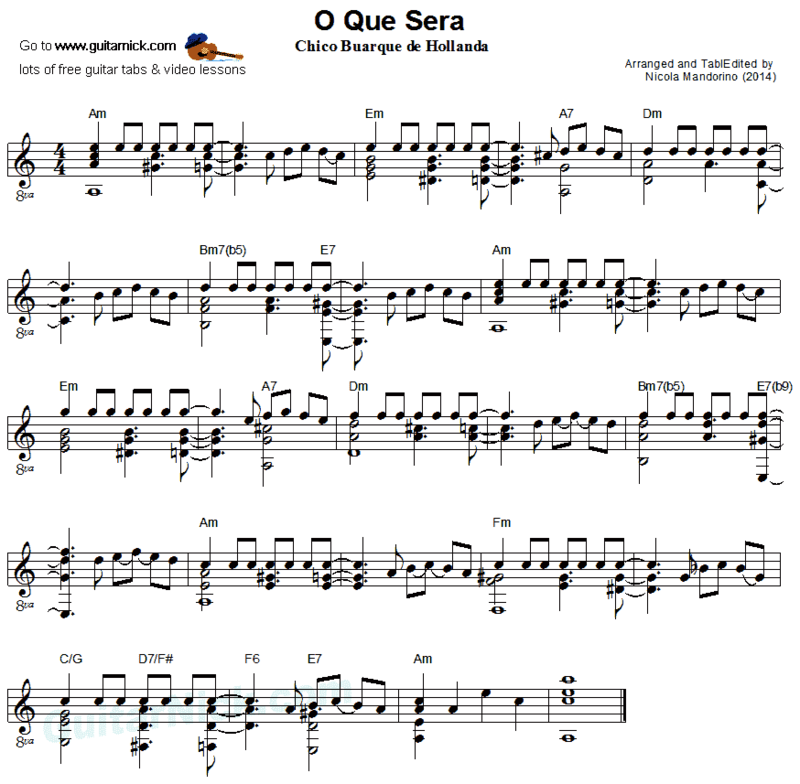 Learn to play this nice bossa by Chico Buarque De Hollanda, this is my fingerstyle guitar arrangement. I played it slow and with feeling. 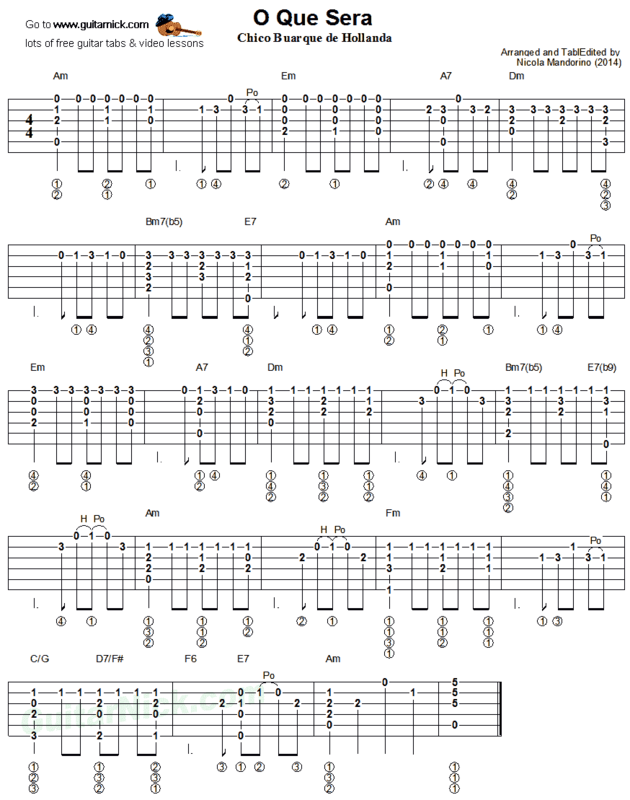 Free guitar lesson with tablature, sheet music, chords and video tutorial.